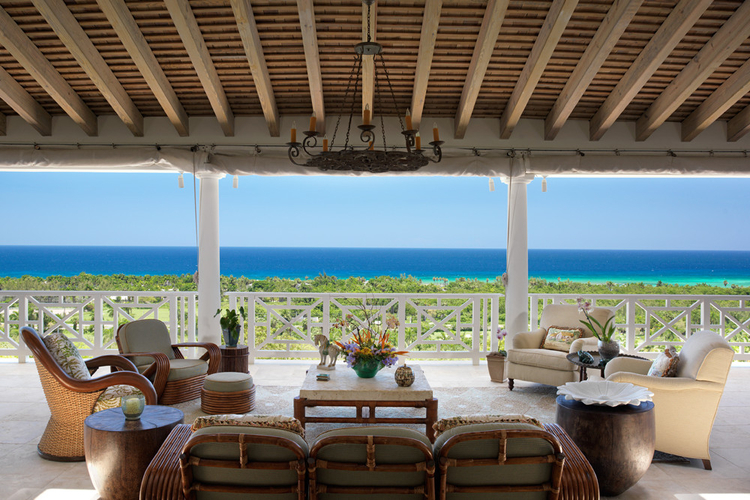 Imagine soaking up sublime views from the peace and privacy of your own luxury villa. Whether it’s sparkling seas, soaring mountains or stunning gardens fringed with swaying palms, we’ve picked some of the most beautiful views our properties have to offer. 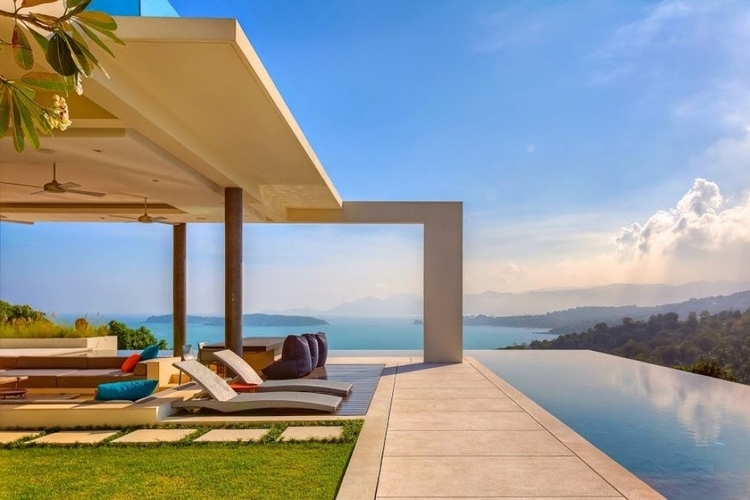 Overlooking a beautiful bay in the Gulf of Thailand, this luxury villa in Koh Samui offers breathtaking views from every angle. From the moment you arrive, the dreamy infinity pool beckons you to drop your bags, sink into its waters and drink in the views over the blue beyond. Immaculately presented terraces are perfectly positioned for sunsets, plus there’s a floating daybed where you can sleep, relax and even do yoga without leaving the pool. Inside, the rooms are framed by floor-to-ceiling windows that maximize the panoramic vistas and merge indoor/outdoor living seamlessly. This stress-free sanctuary also features 4 chic bedrooms, a plush home theater and an exciting game room. If you’re keeping up your fitness regime there’s a fully-equipped gym as well as communal tennis courts that are free to use. Also included: breakfast, airport transfers, daily housekeeping and a private chef who will cater to your every need. 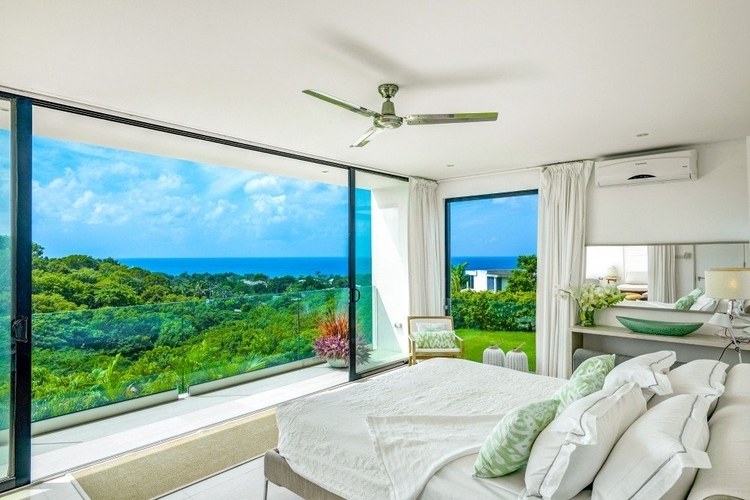 You can soak up stunning views from every room in this swanky architect-designed villa. 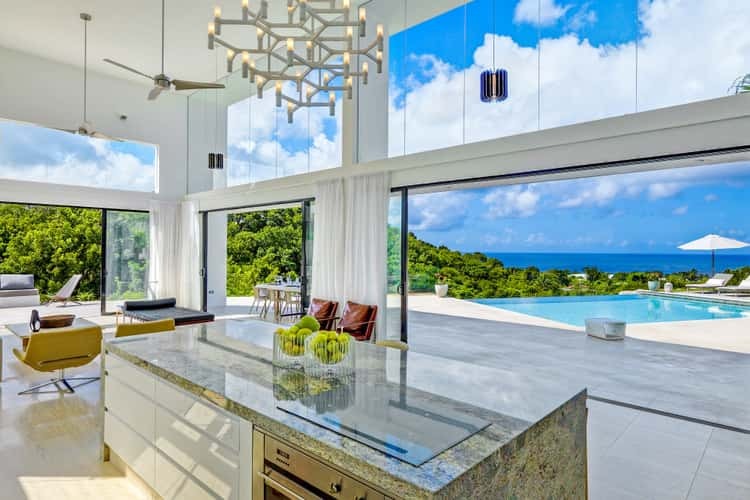 Located in a lofty hillside setting it boasts spacious living areas, sprawling sun terraces and uninterrupted views over the Caribbean Sea. The main living space is vast and features soaring ceilings and plenty of windows. While the design is modern and minimalist, accents of colorful artworks and natural stone keep the atmosphere intimate and inviting. 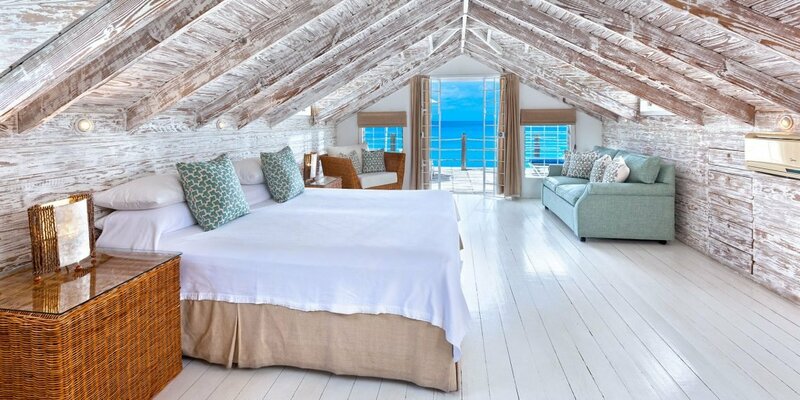 The villa also boasts 4 luxurious bedrooms complete with stylish decor and beautiful sea views. If you can bear to tear yourself away you’ll find beaches, towns and the Royal Westmoreland golf course within easy reach. Located just 5 miles from Disney World and close to Orlando’s other top attractions this sprawling mansion was made for family vacations. 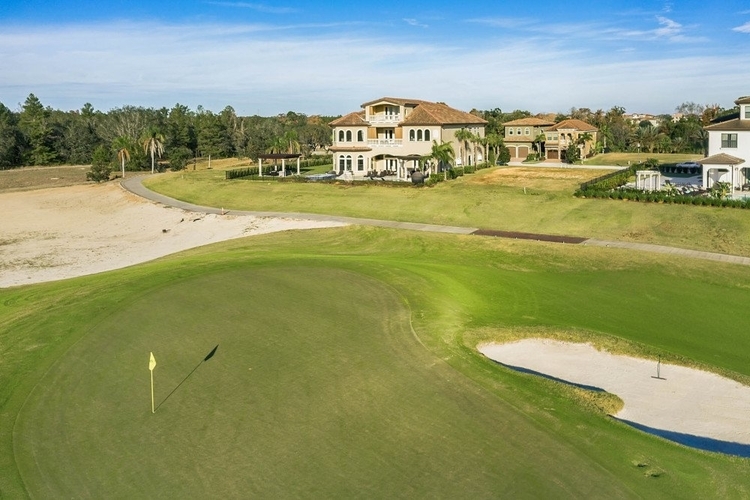 It overlooks an immaculately manicured golf course and has enough space to accommodate a whopping 36 guests. 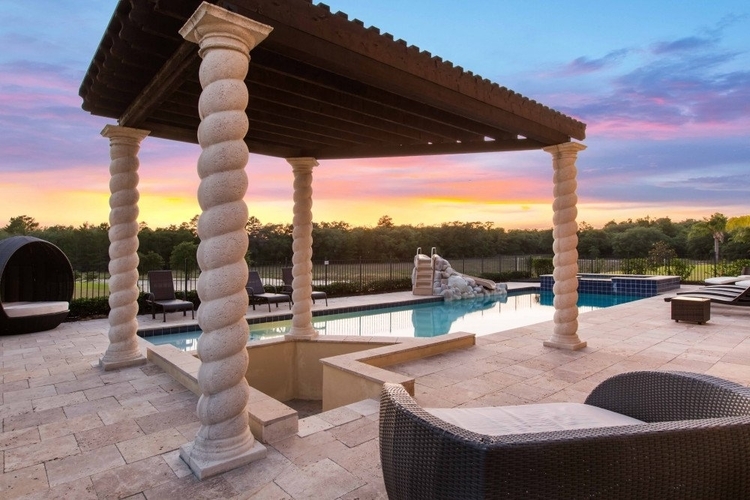 At the heart of the home is a huge pool where guests can swim, slide or enjoy soaks in the bubbling hot tub. Comfy sun loungers are dotted around the pool, and there’s a covered lanai with an outdoor kitchen and an alfresco dining area. When you’re done with the sun you can stay entertained in the villa’s state of the art home theater, or work up a sweat in the fully-equipped gym. The house has 12 luxury en-suite bedrooms including a grand master suite and 3 themed kids’ rooms each with 2 sets of funky custom-designed bunk beds. Guests also benefit from access to fantastic on-site amenities such as a water park, golf courses, restaurants and a kids’ club. 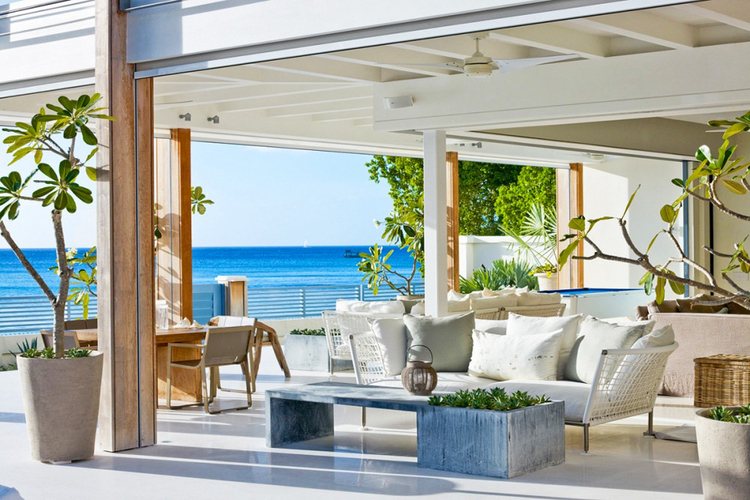 Spacious, airy and superbly situated, this vast property epitomizes tropical island living. 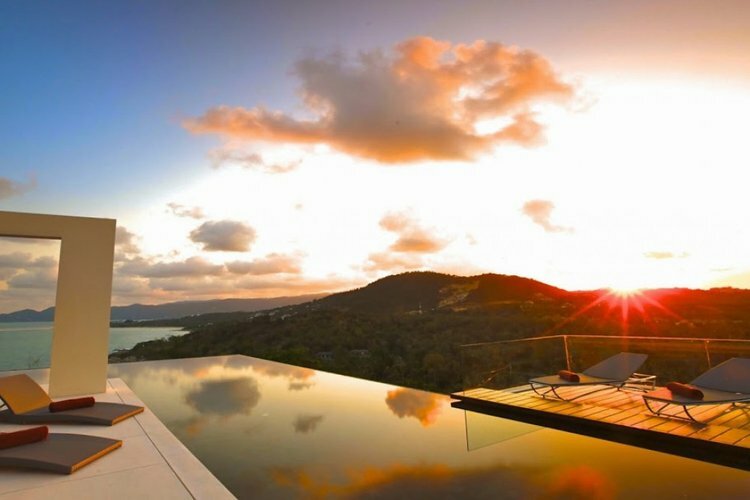 The infinity pool acts as a natural focal point, fringed by a wide sun terrace and looking out over the stunning vistas of Montego Bay. Those same views can also be enjoyed from the kitchen, the dining room, the living room and all 5 bedrooms. In-house entertainment includes a home theater, a game room and a large veranda with a billiards table and bar. Guests can also make the most of a private gym, a massage room and expansive tropical gardens. What’s more, villa staff are included in the rates – your butler will bring you breakfast in the morning, your chef will cook you tasty meals and housekeepers will keep the villa spick and span throughout your stay. 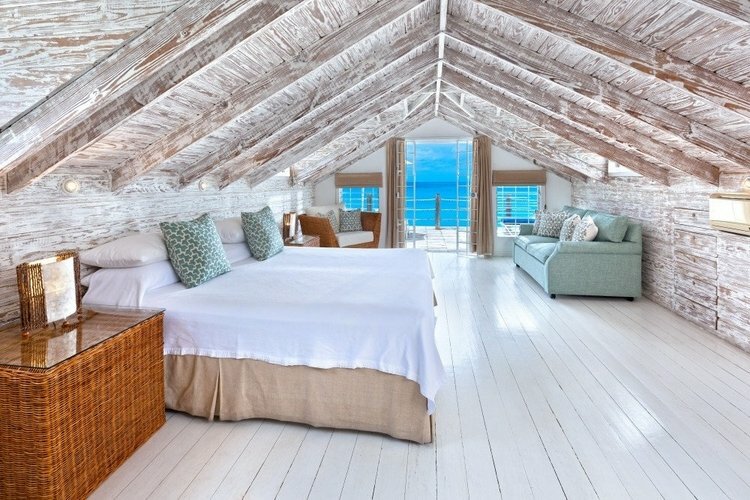 This stylish villa is situated right on the beach and offers beautiful sea views from every aspect. 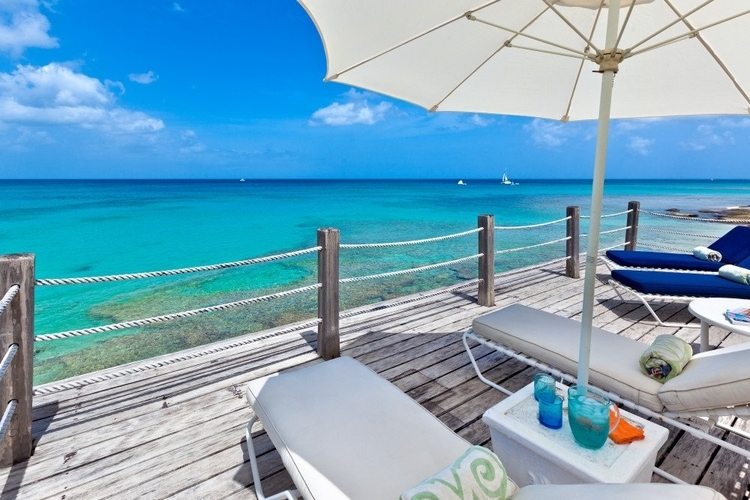 Perfect for a relaxing getaway, it offers plenty of spaces for chilling out including a choice of furnished sun decks overlooking the calm Caribbean Sea. Meticulously decorated throughout, this home has 3 lovely bedrooms, a fully-equipped kitchen and a beautifully furnished living room. 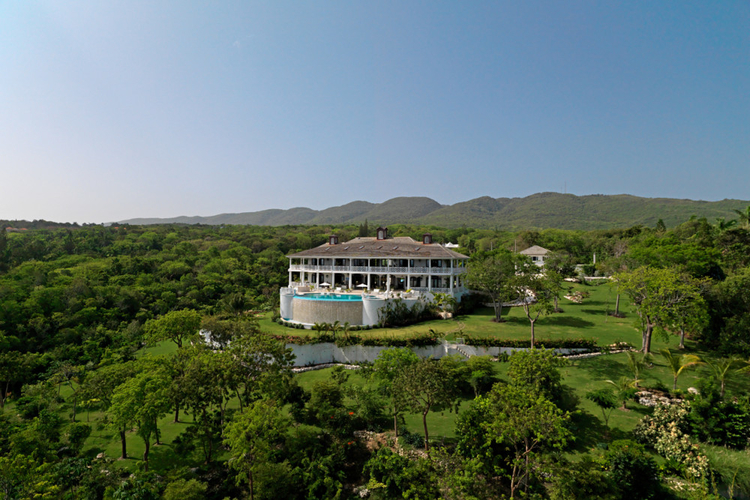 There’s direct access to the white sands of Mullins Beach, it’s also just a short distance from the prestigious Royal Westmoreland golf course. 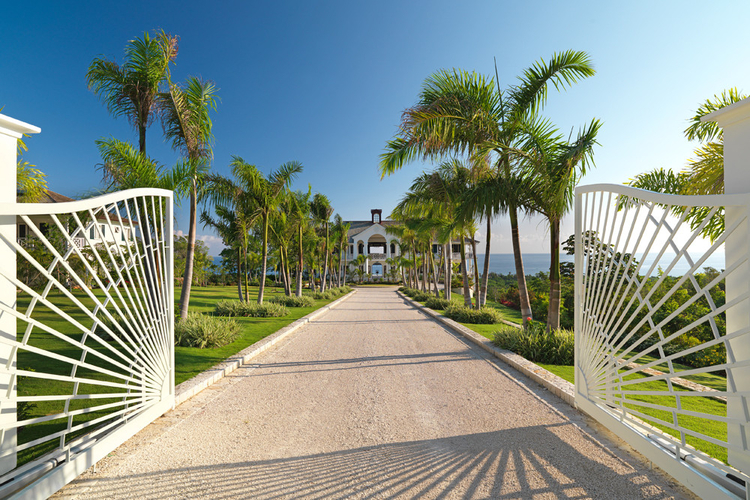 This gorgeous property is located right on the beachfront in an exclusive west coast neighborhood. 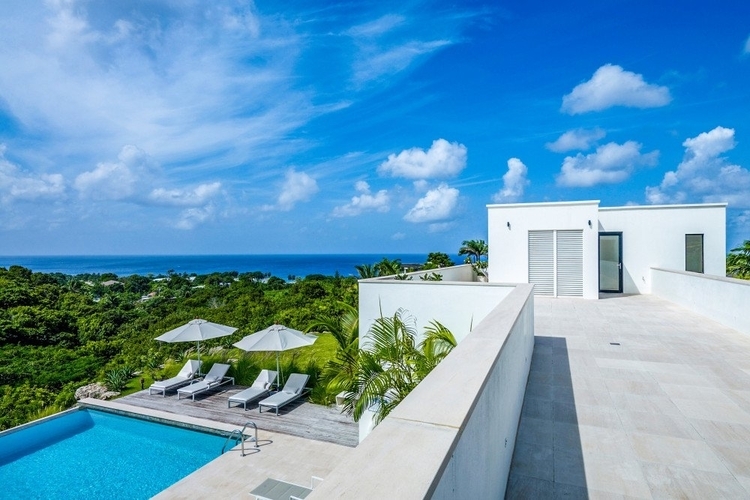 Among its many charms is an expansive sun terrace which has a large pool, multiple seating areas, an outdoor kitchen and uninterrupted sea views. The interior features beamed ceilings and neutral decor accentuated with stretches of wood, natural stone and vibrant works of art. You’ll find a modern fully-equipped kitchen, an open-plan living and dining area and a further separate media room. 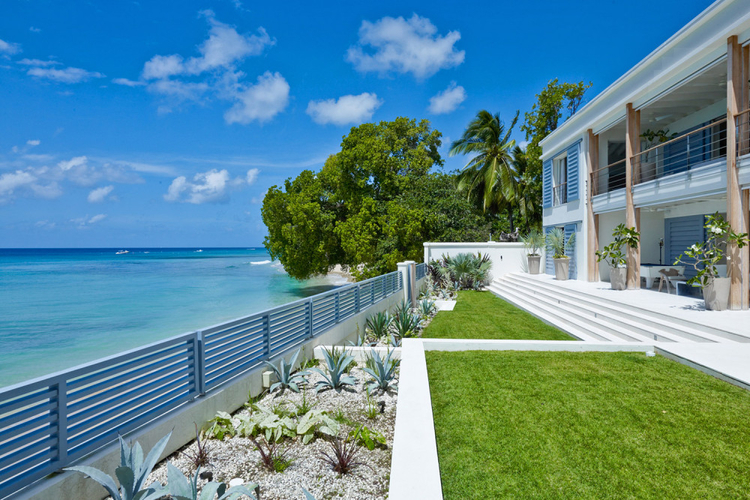 In addition, there are 5 bedrooms, all with en-suite bathrooms and either sea or gardens views. 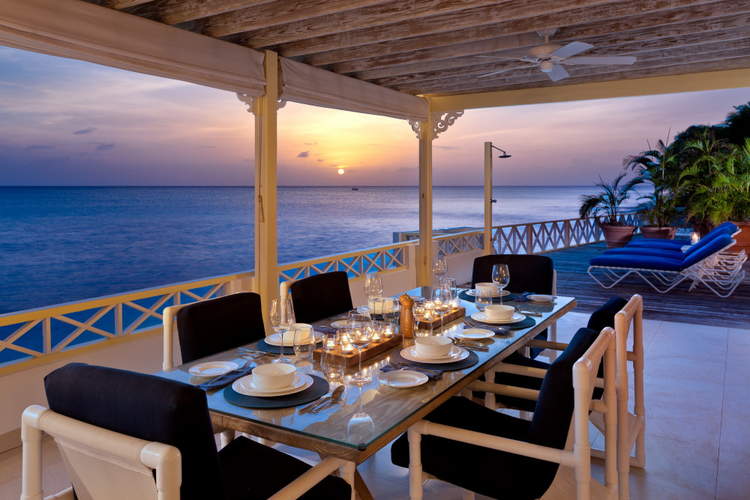 This villa is fully staffed with 2 housekeepers, a butler, a chef and a laundress. 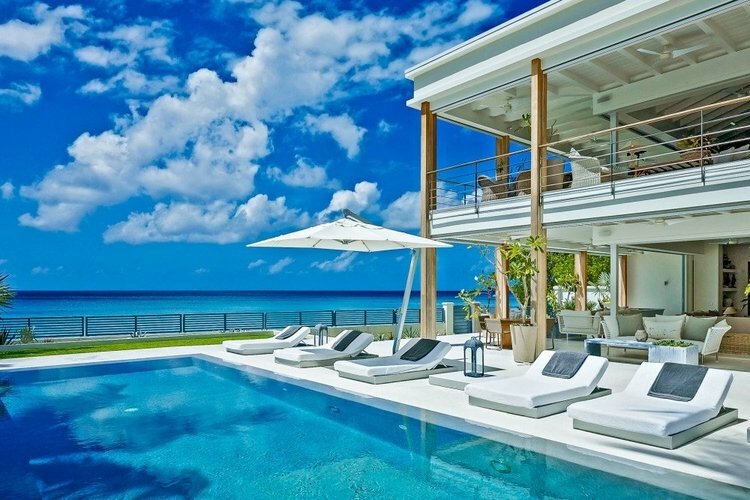 Top Villas offers thousands of vacation homes in all of these destinations and more. Book with us and not only will you get luxury accommodation at great prices, you’ll also benefit from amazing round-the-clock customer service plus access to a wide range of travel extras such as car hire, attraction tickets or help with arranging a special experience.